There are several bursary programs offered through the Financial Aid Office. Bursaries are a form of non-repayable aid for students that qualify and have a financial need. Students can apply for the Financial Aid Bursary, Ontario First Generation Bursary, and Indigenous Student Bursary using the online application form when it is posted during the open periods listed below. All bursary applications are available in the Fall only. Students studying in the Fall semester only, or Fall and Winter semesters may apply. Availability and bursary amounts are subject to change. To apply for Financial Aid Bursaries, you will need to be logged into your Algoma U email account. If you have applied for full-time OSAP by end of August, you will be emailed the link to the application form. The link will also be posted through social media. You can also contact the Financial Aid Office via email for the link. The Special Bursary Program offers financial assistance to those students study part-time at the post-secondary level for the first time, students wanting to pursue academic upgrading on a full or part-time basis to advance their employment-related skills, or for students in the ESL program. Assisting students from families that rely on provincial social assistance or Ontario Disability Support Program is a priority of this program. Students cannot be receiving any other type of government or financial aid assistance (except BSWD funding). The bursary will first be applied to any balance owing on the student’s account with Algoma University. Specific eligibility criteria is listed on the Special Bursary Program form (PDF). Download and complete the Special Bursary Program (PDF) application. Complete all sections, print, sign and attach any necessary documentation before submitting to the Financial Aid Office. The Emergency Bursary provides support to government-funded students who are experiencing a financial need due to unforeseen and unplanned circumstances beyond their control. 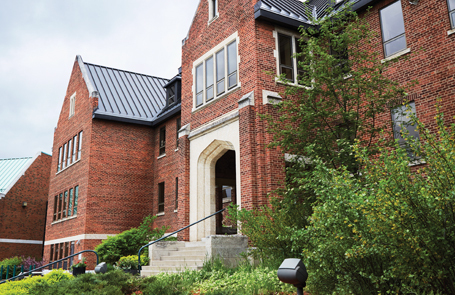 Typically, bursary funding is first applied to any balance owing on the student’s account with Algoma University; however, individual circumstances will be reviewed to determine how the bursary will be disbursed. Download the complete the Emergency Bursary (PDF) application. Complete all sections, print, sign and attach any necessary documentation before submitting to the Financial Aid Office. Students with fees owing that are past due are not eligible. Can I apply using a paper application? The only applications that can and must be submitted by paper are the Algoma Special Bursary Program and the Emergency Bursary. All other bursary applications must be completed electronically and submitted during the month of October. If students require assistance with the electronic application they may contact the Financial Aid Office or visit during Drop in Hours. Can I apply after the deadline date? The deadline for electronic applications is firm, the form will not be available to students after the closing date. Applications for the Algoma Special Bursary Program and Emergency Bursary Program may be considered if submitted late, pending availability of funding. Priority of funding is given for early and on-time applicants.